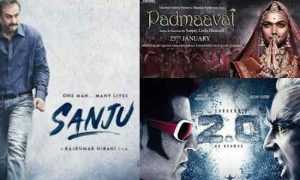 2018 seems a hugely successful year because much-hyped films like Padman, Padmaavat, Sanjay Dutt Biopic, 2.0, Manikarnika, Baaghi2, Gold, Thugs, Zero to release this year and several other awaited films slated to release back to back in coming months and occasions. As you know 2017 ended with a blockbuster mass entertainer Tiger Zinda Hai but 2018 started with the average Box Office response when three Bollywood movies Kaalakaandi, Mukkabaaz and 1921 released on the same day in the second week of January and all films failed to get success. Saif Ali Khan’s Kaalakaandi is a dark comedy remind us Delhi Belly (2011) even Aamir Khan appreciated the film and gave a positive review on Twitter but Saif Ali Khan failed to make a comeback. Vikram Bhatt, an acclaimed horror and thill filmmaker came with his 1920 franchise next part called 1921 starred Zareen Khan and Karan Kundra in lead roles received mixed reviews from critics but did better than Kaalakaandi and Mukkabaaz at Box Office. On 19 Jan, Four films including Vodka Diaries, Nirdosh, My Birthday Song received mixed reviews while Union Leader received an average response and all the releases failed at Box Office. 25th Jan release Padmaavat received rave reviews from both the audiences and critics and the super trio of Deepika Padukone, Shahid Kapoor and Ranveer Singh storm at Box Office then another trio Akshay Kumar, Sonam Kapoor and Radhika Apte acclaimed for Padman. Kuchh Bheege Alfaaz and Aiyaary released on 9th Feb and both the films received mixed reviews. Sidharth Malhotra, Rakul Preet, and Manoj Bajpayee’s thriller Aiyaary failed at Box Office. Sonu Ke Titu Ki Sweety released on 23rd Feb and won both hearts and Box Office numbers. Here’s the Bollywood Box Office Collection 2018 Report card. Anushka Sharma’s horror movie Pari released on the occasion of Holi but failed to collect strong number. Hate Story 4, 3 stories and Dil Junglee released on 9th March received mixed reviews, Ajay Devgn’s Raid released on 16th Mar, received rave reviews then Rani Mukherjee made a nice comeback with Hichki on 23rd Mar receiving appreciation and collecting strong Box Office number. 30th Mar release Baaghi 2 received rave reviews and became the biggest opener, 2nd weekend grosser 2018 and still unstoppable, here’s the updated Bollywood Box Office Collection 2018 Report. Irrfan Khan’s dark comedy Blackमेल received positive reviews and average at Box Office while Manoj Bajpai and Tabu’s Missing received mixed. Charmer Varun Dhawan and debutante Banita Sandhu’s romantic drama October released on 13 Apr, receiving positive reviews from critics and celebrities. Varun Dhawan steals the show again but October has an average first weekend. Abhay Deol horror comedy-drama Nanu Ki Jaanu and Ishan Khattar’s debut film clashes on 20th Apr and received mixed reviews. Daasdev released on 27th April but much-awaited Hollywood film Avengers Infinity War storms at Box Office and becomes highest grossing Hollywood film in India. 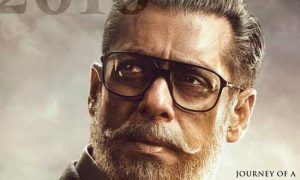 Veteran stars duo Amitabh Bachchan and Rishi Kapoor’s magic after 27 years in Umesh Shukla’s drama 102 Not Out received positive reviews, box office numbers are also strong. Now Meghna Gulzar directed Raazi is receiving positive reviews especially Alia Bhatt and Vicky Kaushal stole the show and the film’s Box Office Collection is also impressive day by day, had a very strong 1st week. Despite the good run of Hollywood film Deadpool & Avengers Infinity Wars, Bollywood movies 102 Not Out and Raazi are unstoppable at the Box Office, Raazi surpasses Raid and Padman. John Abraham and Diana Penty’s Parmanu: The Pokhran Test releases on 25th May and receives positive reviews. 25th May releases Parmanu and Deb Medhekar directed Bioscopewala impress the audiences and critics. Despite IPL fever, limited screens Parmanu maintained well on the first weekend and then on weekdays too. 1st Jun releases are Veere Di Wedding, Bhavesh Joshi, and Phamous. Veere Di Wedding is winning hearts among them and became the 4th highest weekend grosser of this year, instant hit. Another side Bhavesh Joshi failed at Box Office. Eid 2018 release Salman Khan’s racing thriller film Race 3 failed as everyone expected from this much-awaited action thriller. IMDB rated it one of the worst Bollywood films ever. 29th Jun release Sanju broke several records and becomes the biggest opener of 2018 with a huge non-holiday collection, highest Sunday and single day collection, highest non-holiday Monday too, reaches 200 Cr mark in just 7 days, reached 300 Cr in 16 days and broke Bajrangi Bhaijan (320 Cr) record. 20 July release Dhadak wins hearts and 1st and 2nd Weekend collection amazed everyone. Saheb Biwi Aur Gangster par 3 and Nawabzaade failed to impress. 3rd August releases Mulk, Kaarwaan and Fanney Khan receive positive responses but the Box office collections were poor. Independence Day 2018 releases Gold and Satyamev Jayate hit Indian Box office then Anil Sharma’s Genius disappointed while Happy Phir Bhag Jayegi received mixed reviews and failed at Box Office. Stree received positive reviews and became Blockbuster in 15 days while YPD became a disaster. 7 Sep releases Paltan, Laila Majnu and Gali Guleiyaan received mix reviews. Manmarziyaan, Love Sonia and Mitron also receive mixed reviews, release on 14th Sept. 21 Sept release Batti Gul Meter Chalu receives mixed reviews and average Box office numbers. 28 Sep release Sui Dhaaga wins hearts, Pataakha also received positive reviews. Much awaited Love Yatri failed. Much awaited Helicopter Ella fails too. Badhaai Ho won hearts and BO numbers but Namaste England became a disaster. The most awaited film of 2018, Thugs of Hindostan became the biggest disaster. 29 Nov 2018 release 2.0 received positive reviews. 2018 ends with blocbuster Simmba. Megastar Shah Rukh Khan’s Zero disappointed at Box Office. Currently, Salman Khan’s graph is so high in comparison to his counterparts because he has the most number of 100 Cr, 200 Cr, and 300 Cr films while Aamir Khan’s film on top in Highest Grossing Movies list. 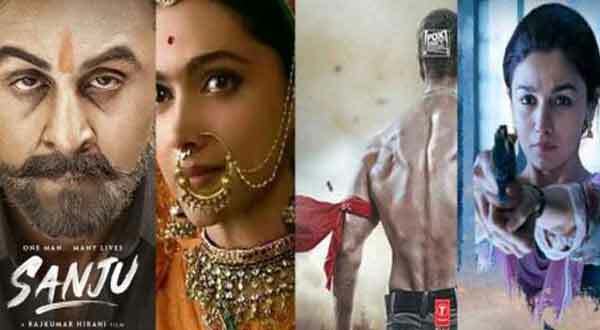 Check Bollywood Box Office Collection 2018 Report, Verdict in India and ask anything related to the article and Bollywood movies in comments below.